I recently attended an economic development forum where a speaker addressed the importance of outdoor activities to economics. She explained that fishers, hunters, and tourists spend money in order to enjoy outdoor sports and sight-seeing. The next time I heard from this same speaker, she was describing art displays that educate people about the biodiversity of a unique bayou in southeast Arkansas. This speaker, Lori Monday, is indeed an educator, though not at a college or high school; she is an Education Specialist at the Delta Rivers Nature Center of the Arkansas Game and Fish Commission (AGFC) located in Pine Bluff, Arkansas. Ms. Monday is a herpetologist by training. And the story gets even better: the Center has two full-time Education Specialists, with Trent Powell joining Ms. Monday in these endeavors. Ms. Monday herself shared this and more, so keep reading! A third educator happens also to serve as the Center’s Director: Eric Maynard. Mr. Maynard has served as the director since the Center opened in 2001. His devotion to nature and education has been the Center’s guiding force all this time, as Ms. Monday explains, and has kept him involved with public education directly, by teaching, and indirectly, by guiding the Center’s two full-time Education Specialists. The rest of the team rounds out with Annie Davis, the team’s administrative specialist; Dawn Cook, the Natural Resources Program Technician; and Drew Spakes, the Center’s maintenance technician. The Delta Rivers Nature Center, modeled after a hunting lodge, not only serves outdoor enthusiasts but also boasts of educational displays as well as paved (and some unpaved) trails and wooden bridges. Located in the Delta bottomlands, its immediate environment includes Lake Langhofer and the Black Dog Bayou; the entire region includes numerous waterways, including the Arkansas River and Bayou Bartholomew. The Center’s exhibits explain the significance of the waterways to the land itself — and hence human history. They model the formation of oxbow lakes and describe the area’s ecosystem, one of the world’s most diverse and unique. As if that were not enough, the Center has simulations of a small aircraft flying over the state and a film on life in the swamplands of past centuries. Throughout the year, the Delta Rivers Nature Center hosts events such as Boo on the Bayou, a late October event, of course, and class visits. Mr. Maynard leads the Plant Swaps and teaches hunting and boating education classes. He also takes part in the annual Marksmanship Challenge, a five-part challenge that includes Laser Shot, BB guns, baitcasting, National Archery in the Schools Program, and 3-D archery skills for marksman in grades one through twelve. The photo gallery below shows visitors learning as a class or during an event such as Boo on the Bayou. Still other events target young people whose careers are ahead of them. As Ms. Monday explains, Career Day at the Delta Rivers Nature Center is built on job shadowing, not just lectures, so “young people get real experience with bird handling, animal maintenance, and public education.” This summer, Ms. Monday will offer a new on-site event, Let’s Go Herping Day, to teach children how to safely turn over rocks and logs to look for reptiles and amphibians. The first herping trip will be on June 13, 2017, from 8:30 to 11:00 a.m.
As mentioned above, the Center’s Educational Specialists participate in activities that go beyond the Center’s grounds. Sometimes they give presentations in the community. Other times they participate in broader AGFC events such as the annual Becoming an Outdoor Woman event, put on by all of AGFC for women of Arkansas. 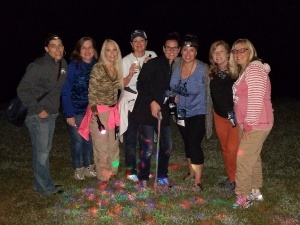 The image here shows seven women who recently joined Ms. Monday to go night “herping” for snakes, lizards, and salamanders! 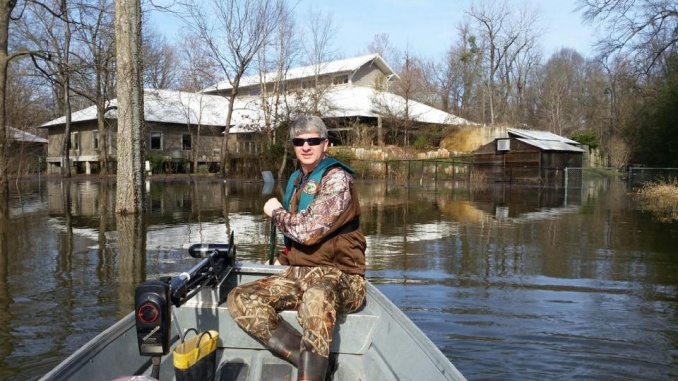 Furthermore, the Delta Rivers Nature Center enjoys two-way community relationships, especially with the Aquaculture and Fisheries Club at the University of Arkansas at Pine Bluff (UAPB). 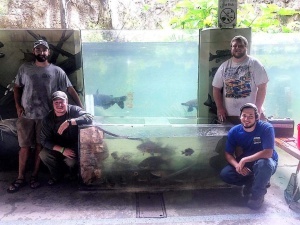 Members of this group have played a huge part in keeping the Center’s fish stocked. (Watch this space, Dear Reader, because I feel a future article coming on, and I suspect the article will cover this topic!) Also, community leaders, including state and local elected officials, visit the Center from time to time. And so it is at the Delta Rivers Nature Center. Mr. Maynard, Ms. Monday, and Mr. Powell not only provide services to outdoor sports enthusiasts but also work directly with nature conservation, especially animal care and training, just as one would expect of AGFC staff. And yet they are Education Specialists, regularly giving off-site presentations and running on-site tours and activities. To top it all off, Mr. Powell coordinates volunteers at the center while Ms. Monday coordinates the Boy Scout Program. To visit the Delta Rivers Nature Center, just head on over toward Black Dog Bayou in Pine Bluff. The Center offers recreational and educational programming, both regularly scheduled and specialized, for people of all ages. The educational activities themselves are free. (In some cases, the activities may have materials costs; and not surprisingly, the gift shop is separate from the programs and raises money through sales.) If you need a tour or would like to schedule a group visit, be sure to call first. Fish feedings year-round in a 22,000 gallon aquarium, the largest outdoor aquarium in Arkansas: Tuesday through Friday at 11 a.m., Saturday at 3 p.m.
Delta Rivers Nature Center’s website lists regularly scheduled programs (under Programs on their main page) and additional events (under Calendar). They also have information about planning a visit in advance (especially for groups) with contact information and a link to the reservation form. The information for this article came primarily from Lori Monday, an Education Specialist for the Arkansas Game and Fish Commission’s Delta Rivers Nature Center in Pine Bluff, Arkansas, who teaches about Arkansas wildlife and natural resources. She also is a conservationist and naturalist who works to preserve and maintain nature and all of its biodiversity. 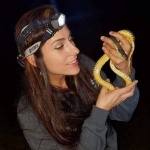 Ms. Monday’s degrees are from the University of Central Arkansas in Biology with a focus in Herpetology; she has spent the last several years researching turtle physiology and teaching about reptiles and amphibians with an emphasis on the snakes of Arkansas. Eric Maynard provided valuable information about the Delta Rivers Nature Center’s programs and, especially, the historical background of the Center. Mr. Maynard has directed and coordinated the Centers from the beginning. Additional input for this article was contributed by Trent Powell. 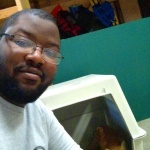 In addition to educating the public, Mr. Powell is a devoted conservationist and has extensive experience caring for wild animals. He is as talented as anyone with all animals but is known to have a way with wild birds like no one else. And lastly, the Delta Rivers Nature Center website, with linked text above, has been a great source as well. Great article! We’re so proud of the work that Lori is doing at Delta Rivers. One additional fact to add….Lori has been instrumental in developing a Merit Badge program at Delta Rivers that will give Boy Scouts an opportunity to earn a merit badge every single month this year! It’s an incredible serve to provide to our scouts and Lori has led the way in putting it into place! Thank you for the feedback! I am glad you enjoyed the article. And kudos to Lori Monday for her role in developing a Merit Badge program there. As if having the training to handle and care for wild animals isn’t enough, she does this, too! That is fantastic.